Two separate interior build outs of data center and offices approximately 80,000 square foot including rooftop units, Liebert units, generators and humidification systems. Several locations for “POP” sites; work generally included Liebert units and chilled water piping. Work included two new 30-ton Liebert units for existing switch site. 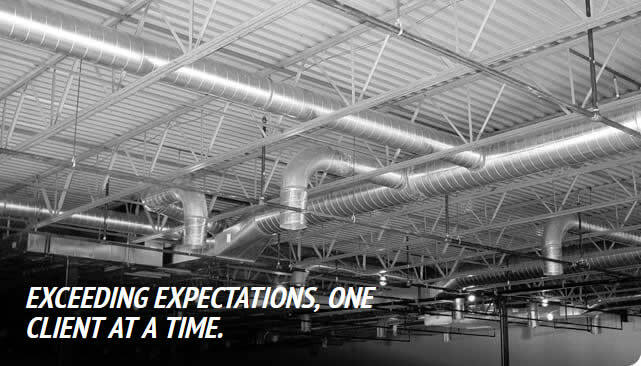 Work was done in fully functioning data room, and included glycol piping, ductwork and drain pans under all piping. Work included multiple Liebert units for after hours trading in large office area and data room cooling. New 100 ton chiller installation with in-row CRAC units. Two new 100 ton chillers, heat exchangers and CRAC units. 10,000 square foot, N+1 data center utilizing district chilled water plant.